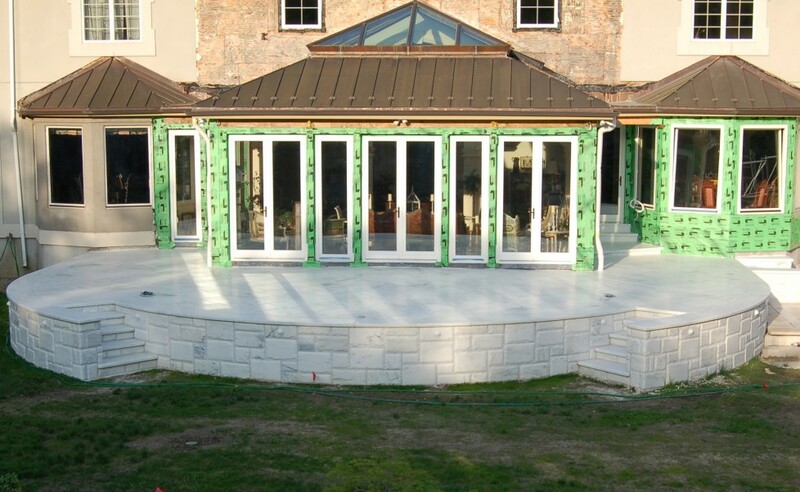 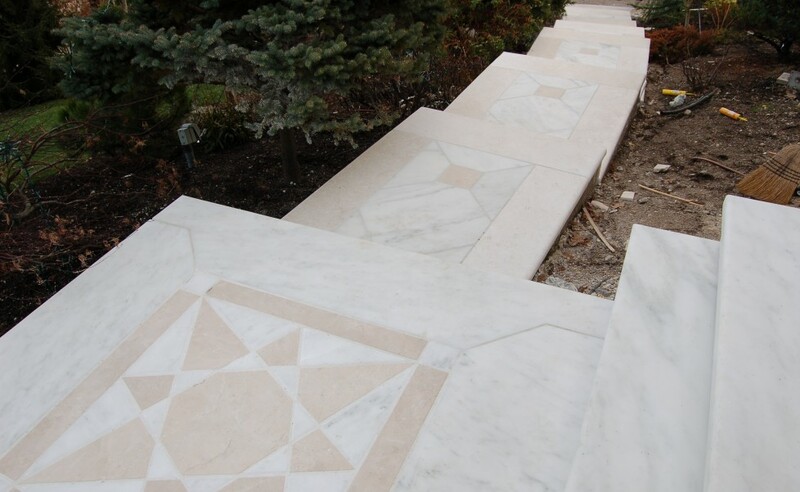 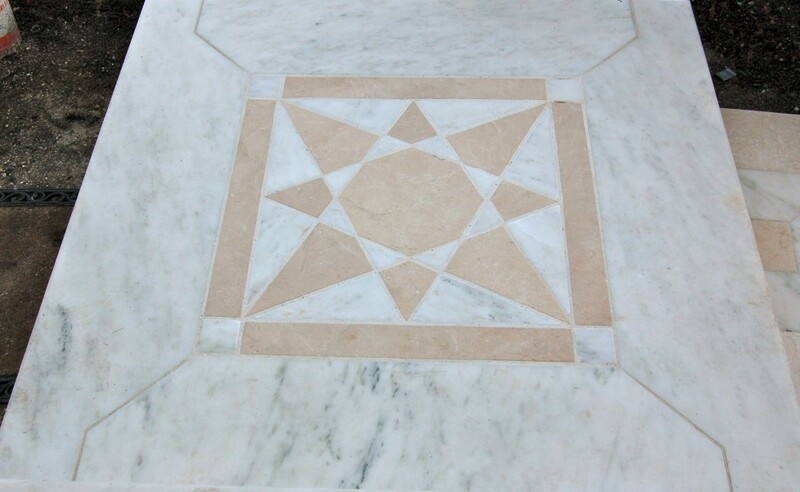 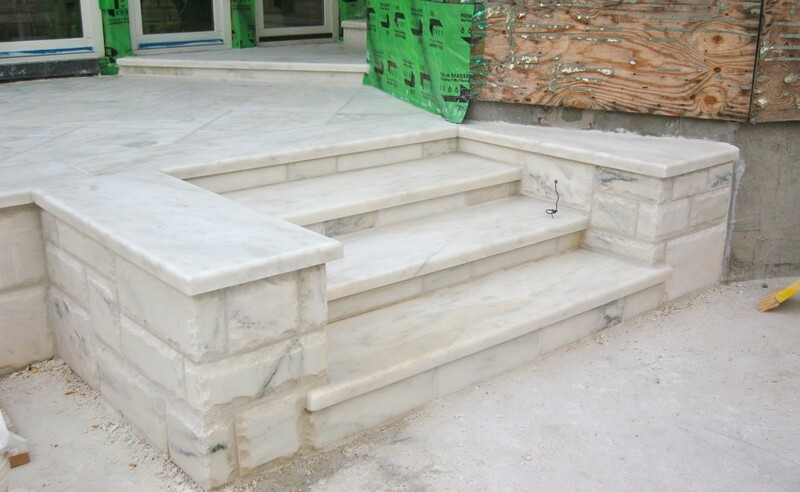 The exterior design of a private residence in Massachusetts utilized recycled Danby marble ” supplied by Vermont Quarries of Mendon, VT. All of the blocks used for wall construction were derived from headstone production waste, while smaller pattern details came from slab fabrication waste. 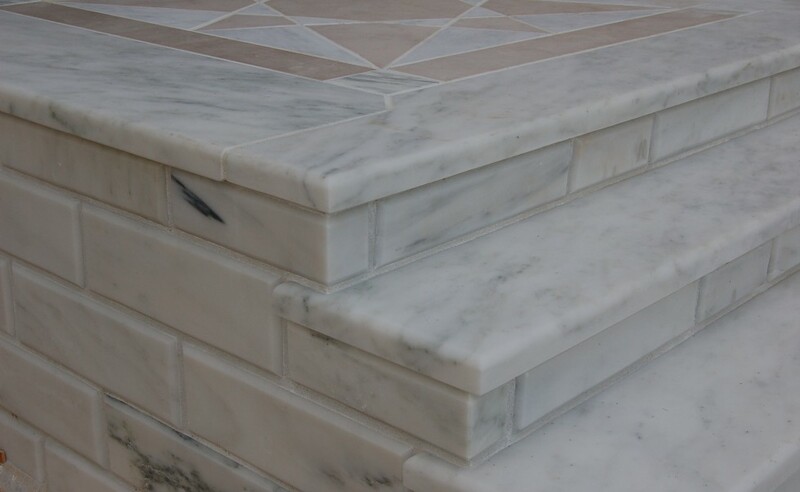 Mark Williams of Mark Williams Design Associates in Atlanta, GA (www.mwdesignllc.com) provided us with this beautiful bathroom remodeled with Crystal Stratus Danby and Imperial Danby. 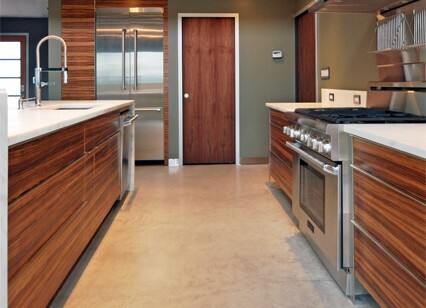 Autumn Hill Lane: The interiors of the house combine modern materials and detailing with a warm palette of colors. 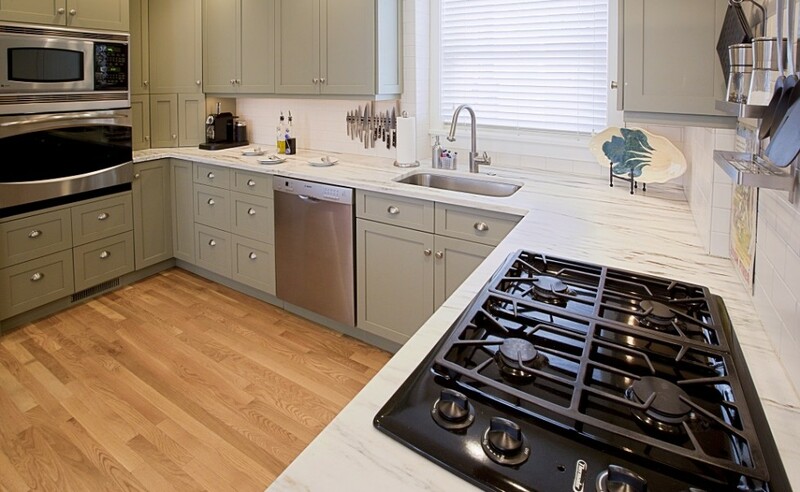 The kitchen has zebrawood cabinets that feature distinctive horizontal grain, Imperial Danby white marble countertops and stainless steel appliances. 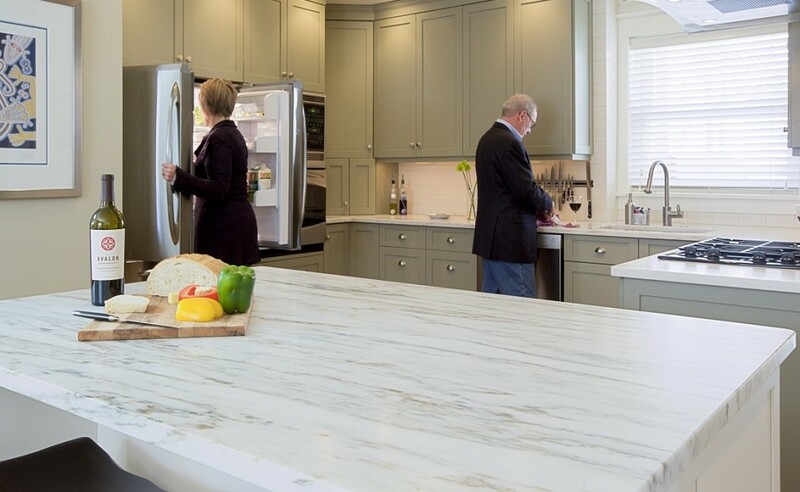 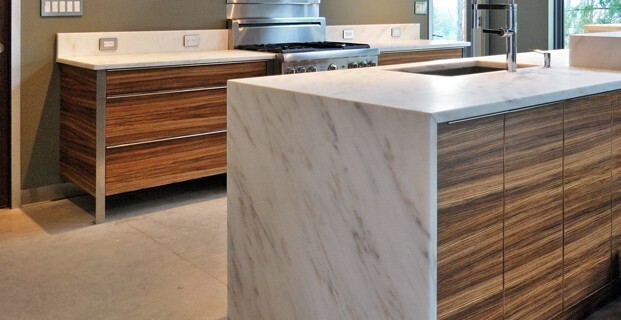 The Imperial Danby countertops return to the floor at each end of the island in a waterfall feature that frames the contrasting wood of the cabinets.